Holly-Wood Guest House07928 373326work Guest HouseHolly-Wood Guest House is located on a quiet road a few minutes walk from the centre of Windermere. Holly-Wood has 6 incredible rooms, perfect for short stays or week-long getaways. 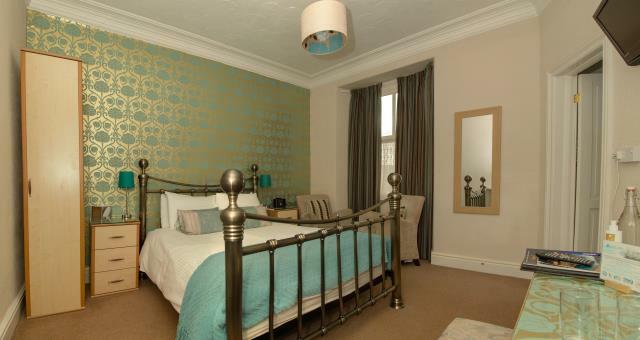 We have a selection of single and double rooms ideal for a stunning break in the Lakes. Our rooms have a unique design which combines the style of our surroundings, with the comforts of modern life. 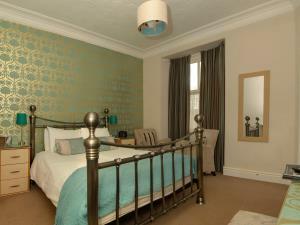 Each room is equipped with an up to date en suite. Holly-Wood Guest House sometimes limits bookings to 2 or more days. The location in Windermere was excellent, only a two minute walk to the centre of the village, and no traffic noise. The breakfast was great on each day, if you wanted more all you had to do was ask. The rooms were clean and comfy. Our hosts Ian & Jana were very friendly and approachable. This was my first visit to Windermere and it will not be my last. I will be looking to book this hotel again the next time I visit. Holly-Wood Guest House is located on a quiet road a few minutes walk from the centre of Windermere. Holly-Wood has 6 incredible rooms, perfect for short stays or week-long getaways. We have a selection of single and double rooms ideal for a stunning break in the Lakes. Why not come and spend a few days with us in a most picturesque part of the country and enjoy romantic walks with a backdrop of hills and waterfalls. Travelling to Windermere you come off the M6 motorway at Junction 36, head for Windermere on the A591. Turn left onto Windermere, turn left after the first set of traffic lights onto Ellerthwaite road and left again on to Holly Road. Nearest Mainline: Oxenholme, The Lake District 11 miles. Nearest Station: Windermere 0.6 miles.